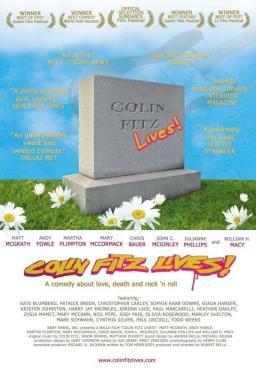 Every year on the anniversary of rock idol Colin Fitz' death, something bizarre happens at his gravesite. This year his wife, Justice Fitz calls upon the O' Day Security Firm for help. The two guards who are hired, Paul and Grady, are clearly not from the same universe. From the moment they begin preparing for their night in the graveyard, their completely opposite and fundamentally dysfunctional personalities clash as they heatedly exchange views on life, love, and American pop culture. Throughout their increasingly strange tour of duty, the mismatched guards have encounters with numerous visitors: a Colin Fitz fan, their officious supervisor Mr. O'Day, the mysterious groundskeeper Nolan, Grady's ex-girlfriend Moira and her new beau Tony Baby Shark. By the end of the night, Paul and Grady arrive at a new respect for the megastar's iconic power as they finish their beers, call a truce, and finally leave for breakfast with a group of Swedish fans.